Get your free agriculture insurance quote from RC Cook Insurance. Call 330-296-3628 for more information. We're located in Ravenna, OH. We all depend on American agriculture's survival and growth, yet few of us understand the unique challenges facing today's farmers. Their love of the land must be matched by their knowledge of advanced techniques and equipment. Their growing investments of capital must be protected. A commitment to provide comprehensive agriculture insurance to American farmers is the foundation of RC Cook Insurance. What's covered in Ohio Agriculture Insurance? Property and Casualty (P&C) Insurance - P&C insurance covers an agribusiness's buildings and their contents -- money and securities, accounts-receivable records, inventory, furniture, machinery and supplies when damage, theft, or loss occurs. If you hire employees to work for you, you need P&C insurance in case of injury on your property. 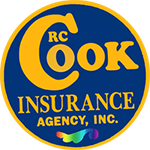 Customers of RC Cook Insurance can expect excellent service from our local independent agent network, dedicated agribusiness underwriters, risk control specialists, and claim handlers. Safeguard your future in agriculture today. Learn more about your options for agribusiness insurance coverage by filling out our Protection Savings Form below right away. Get a free quote from one of our experienced agents and don't go another minute without the best possible protection available!